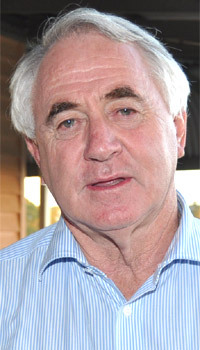 Toowoomba mayor Paul Antonio may appeal a Local Government Regional Conduct Review Panel finding that he engaged in misconduct in dealings about the Melbourne-to-Brisbane Inland Railway project. Mayor Antonio told the ABC he believed he had been denied procedural fairness in the hearing process and was considering his legal options to appeal the findings in the Supreme Court. In 2017, the ABC reported that Mayor Antonio personally paid $4900 to have an alternate route for the Melbourne-to-Brisbane Inland Railway project investigated. This alternative route took the rail line close to a quarry that he owned. Was not sufficiently candid when he participated in a television interview with an ABC journalist in September of 2017, when he was questioned, without notice, about his dealings with a constituent. He was fined $14,360.50, ordered to undergo counselling, make an admission of error, and apologise at the next Council meeting. The panel also recommended the Local Government Department’s chief executive officer monitor Cr Antonio for compliance with the Local Government Act. Cr Antonio told the ABC he was very disappointed in the decision, saying he had disclosed his ownership of the quarry on his register of personal interests lodged with the Council.